Great Ranch Style home offering 3 bedrooms, 2 ½ baths with new carpeting, open floor plan, finished lower level, 2 car garage, screened porch paved drive, dead end street, and back yard with tons of privacy plus finished basement. Desirable North County location and sought after Bonsack Elementary. One of the nice this about Roanoke is that it has rural areas as well as downtown and suburb areas. Believe it or not, selling homes in each of these areas is different. When you market homes that are in a more suburb or city setting, options like open houses and other marketing to generate foot traffic to the home are much more effective. So how does that work when the property is a lake front property? Or a property that is truly rural. Or how about when the property is in a specific area that is desirable that people are looking for? For these types of properties, online marketing makes much more of a difference. Here’s one in Fort McMurray Canada. If you look on this site, you will see that some of the areas are quite rural, but they are searched for, so the REALTOR makes sure that it is easy to find them on their site. You can find all of the different areas around Fort McMurray pretty easily. And you can look by price as well. We do the SAME thing on our site! Here another one. This shows a desirable neighborhood in Lower Mission Kelowna. The whole idea for them on this page is to market the AREA (even though it is IN the main city (Kelowna) the REALTOR is doing a good job of position their clients listings on a page that gets exposure for people looking SPECIFICALLY for homes in Lower Mission (which is a much sought after area up there.) They are working on getting exposure for this page. Well, put us to the Google test! You will find us on virtually every major search term ahead of the other REALTORS you might be considering. Whether you are talking about a rural home near Smith Mountain Lake or often searched for neighborhoods such as Ashley Plantation, Hunting Hills or even the smaller outlying areas such as Salem, Google things that people will search for and we usually are on Page 1. We spend a lot of time and effort to get the exposure for our clients. Exposure sells homes (assuming they are priced right and in good condition). Simple as that. There are a lot of things to consider when searching for homes and properties to purchase, but the neighborhood you choose can be more important than simply finding the best deal of the current homes for sale! An experienced agent can help you find realty options in great neighborhoods that fit your lifestyle. It’s common knowledge that location is an important factor in homeownership, but how can you evaluate an area? One way is to simply as for the advice of your real estate agent. An experienced agent will know the history and atmosphere of a neighborhood. When you go to look at a home for sale within a particular neighborhood, look at the homes around it. Do neighbors take pride in their community? Discarded junk, broken fences and poor yard maintenance are all red flags that neighbors lack pride in their homes and in their community. When you’re visiting homes, pay attention to the details. Noise and traffic in the area can impact your ability to enjoy your new home and neighborhood. Look for vacant or shabby buildings, railroad tracks, low-flying airplanes, traffic noise or power plants. You should also consider the ease of commute and the location of the community in relation to attractions and amenities. You should also look at the crime rate of the neighborhood. If you want specific crime information, you can go to your local police office to print out an information sheet about the crime rate. One of the best ways to assess a neighborhood is simply spend some time there. You can talk to some other people living in the community and ask what they like or what they don’t like about living in the community. The most important thing is to make sure you feel comfortable, safe and at home in the community. People in the process of searching for homes and real estate can be influenced by even minor updates and changes to your home. Sometimes simply looking at the MLS photos online can entice or repel potential buyers. Luckily, there are some tips you can use to help stage your home to sell so it looks appealing both in photos and in person. 1. Get rid of clutter. This is the first step in home staging. You want your home to be as clean as possible. When possible, you want to “de-personalize” your home so buyers can visualize their own lives in that space. They need to be able to picture themselves living in that homes. Something as simple as packing away family photos can make a big difference. 2. Remember curb appeal. Before buyers even step into your home, the curb appeal will make an impression — so make sure it’s a good one. Clean windows, powerwash decks and siding, make sure the paint is in good condition, update the landscaping and tend to the yard. 3. Less is more. Don’t overwhelm a room with too much furniture. A few sturdy pieces will show off the room and make it look bigger. Try to follow the “only two pieces of furniture per wall” rule. 4. Neutralize your rooms. Fresh, neutral paint on the walls, trim and doors can make the entire home seem cleaner and more inviting. Paint is a fairly inexpensive way to completely update the look of your home. 5. Deodorize. You should deodorize the home before EVERY showing. Some ways to bring good scents into the home include baking cookies in the oven, boiling cinnamon sticks in a pot of water and using air freshener. You may also consider a deep, professional cleaning service. 6. Let in natural light. Show off your home’s windows by using flattering window dressings that let the natural light into the room. Light, airy and gauzy fabrics are usually the best way to show off a home’s natural lighting. While spring time is that time of year when many of us are bothered with our seasonal allergies, you will be comforted to know that Roanoke VA is not on the top 100 list for cities that are challenging for allergies. So, take heart. 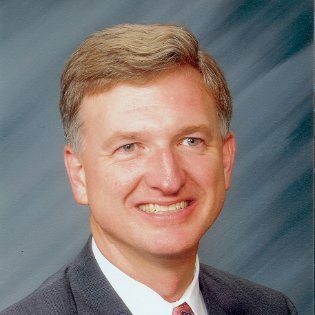 If you are considering a move to a new home or if you are looking for a luxury home, city for retirement, golf course home, country club home, home for downsizing, corporate transfer, or simply relocating or wanting to move to a new area, please let this REALTOR help you make the move to Roanoke. Come to Roanoke VA and let us help. For more on allergies and cities not to move to, read more here. How many Roanoke Realtors have the GRI (Graduate, Realtor Institute) designation? When you meet with a REALTOR before listing your home for sale, one thing to ask them about is how much training have they had above and beyond the simple technical requirements to become a REALTOR in the first place. It makes sense, right? If you were interviewing an accountant for example, you would want to make sure that they are up to date on all of the latest tax laws and that they not only continue their education, but stay at the top of their game. Fact: There are under 75 Realtors with the GRI Designation in Roanoke VA! That may sound like a lot for Roanoke, but remember that there are over 1100 Realtors in the Roanoke Valley! This means that when you are working with a REALTOR with a GRI Designation, you are getting a top tier REALTOR in terms of education and training. The coursework required to earn the GRI designation covers four major areas to give you the tools and knowledge you need to provide your clients superior service. All of these classes need to be completed within 5 years to receive the designation. We encourage you to ASK us about our training and expertise. We will be glad to show you that we are professionals in the real estate industry and WHY our expertise and training matters. Our experience can save you money, time and help you avoid problems!